You would never guess a dessert as creamy and delicious as this pumpkin mousse recipe could be healthy and low in calories! Just mix the mousse ingredients together and sprinkle the homemade granola on top. 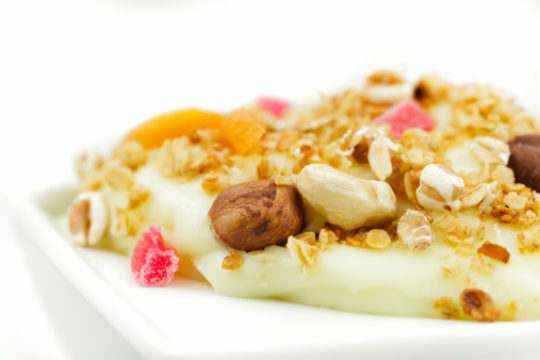 Sprinkle homemade granola on top (see below) and enjoy!